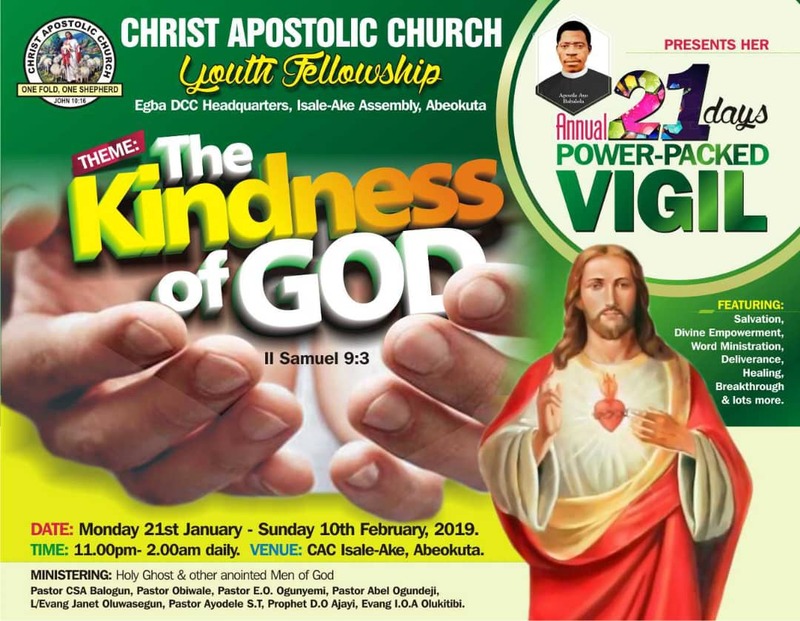 Christ Apostolic Church Youth Fellowship (CACYOF), Egba District Coordinating Council (DCC) headquarters, Abeokuta is set to hold her annual 21days power-packed vigil. 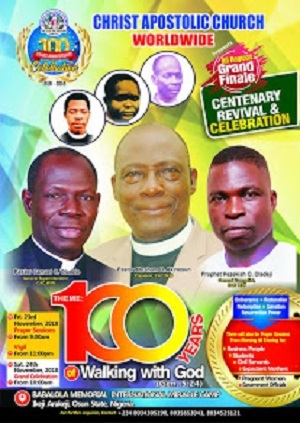 The vigil will hold from Monday 21st January to Sunday February 10th, 2019. 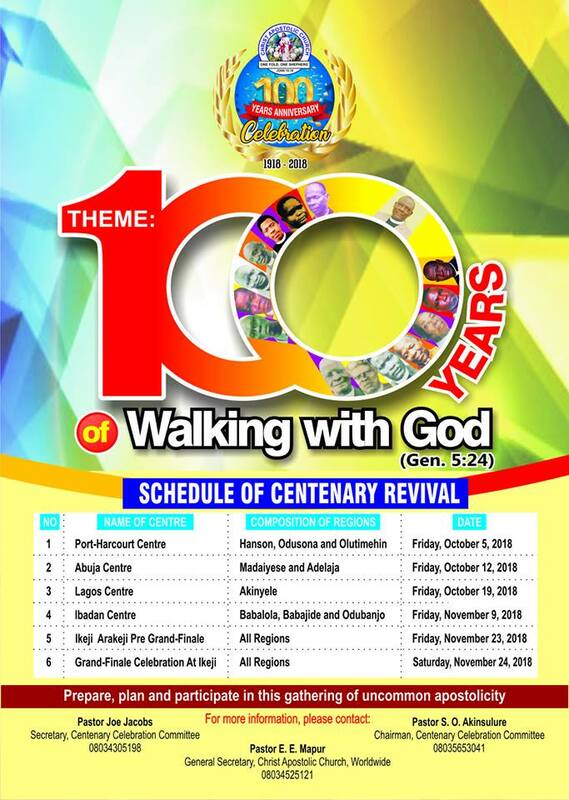 CAC NEWS gathered that the theme of programme is "The Kindness of God" and it will hold from 11pm to 2am on daily.